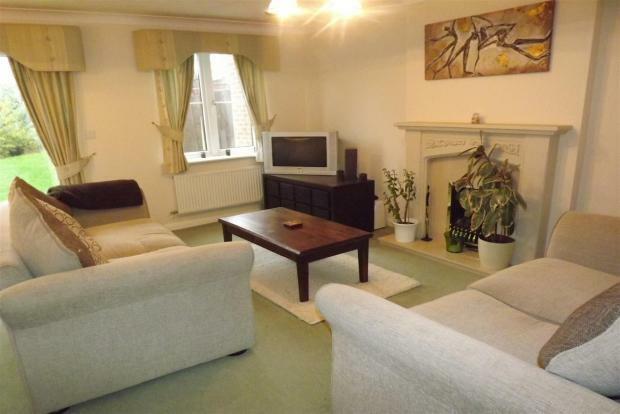 3 Bedroom Detached House To Rent in Nottingham for £725 per Calendar Month. KITCHEN with a range of base and eye level units and integrated cooking appliances. LOUNGE AND DINING AREA with feature fireplace and french doors leading to the rear garden. This room is in good decorative order, has space for a dining area and benefits from an under stair storage cupboard. THREE DOUBLE BEDROOMS and a FAMILY BATHROOM with white three piece suite and a shower over the bath. Externally the property benefits from off street parking on the driveway and a rear lawned garden. A must view for professional sharers or a couple!